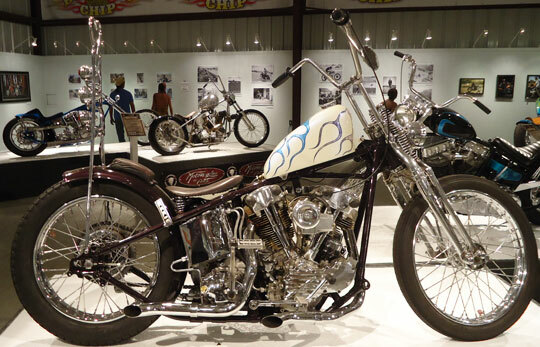 We have been getting stories and pictures back from Michael Lichter's exhibit at the Buffalo Chip in Sturgis and it looks like it was a good one! The exhibit was based around Michael's experience at Born-Free last year which seems to have given him new hope in the next generation of motorcycle builders. CLICK HERE for the review of the show on the Cyril Huze Blog. thanks to all that made it out there and thanks again to Michael for putting it on! I'd always been kind of dismissive of the Sturgis 'thing', possibly stemming from riding Trumpies through the late eighties onward, but having seen the diversity of the more recent efforts, Decker, Lichter etc, I'm really into it, all you guys did a wonderful thing, top notch. Thanks for the window.